I have turned a bunch of files in Video_TS folder to ISO for better preservation, sharing, and distribution. This experience is impressive so I would like to share with you about how I create ISO from Video_TS folder. As some of you may already know, on a DVD disc, DVD movie files are stored in the VIDEO_TS folder. The TS stands for “transport stream” and is part of DVD structure. The VIDEO_TS folder, including IFO, VOB, BUP files, contains all the DVD’s video data and playback information. Since TS video format can also be accepted natively by a very limited number of player apps, programs or hardware, a TS video converter can make HD TS video more compatible. In this case, ISO is the best output format for TS video converters as it is designed as a flexible, extensible format that facilitates interchange, management, editing and presentation of the media. Put it in a nutshell, ISO is more compatible and widely used in multimedia, leading to growing popularity of Video_TS to ISO converters. In regard to my experience, a powerful and reliable Video_TS to ISO converter can make the work done with half the effort. Fortunately, Leawo Viedo Converter Ultimate can be such a great tool to help you convert Video_TS to ISO efficiently and reliably. It is an upgrade version of Leawo Video Converter, which is a professional video converter. 180+ formats are supported and 6X faster speed is offered by this tool. Users are allowed to use this tool to download, convert, and burn videos with full features available. Now let’s check for the detailed guide to covnert Video_TS to ISO using Leawo Viedo Converter Ultimate. Step 1: Get Leawo Viedo Converter Ultimate downloaded and installed. Click the below button to download and install the tool to your PC. Note that both Windows and Mac versions are provided, respectively. Step 2: Add the Video_TS folder to the tool. Launch the tool, move to “Burn” page, and click “Add Video” to import the Video_TS folder to the tool. Step 3: Select or customize the menu template. Click a menu template on the right pane and change the font, size, and background pic if necessary. Otherwise, you can customize a menu template based on your own ideas. Before converting Video_TS to ISO, you can click the editing icon next to the video to do some editing such as trim, crop, etc. Step 5: Burn Video_TS to ISO. Click the big button Burn on the toolbar. On the displayed interface, tick ISO and set a directory to save the output ISO files accordingly. After that, click the round button Burn at the bottom. When the process completes, you will have your ISO files ready for playing. 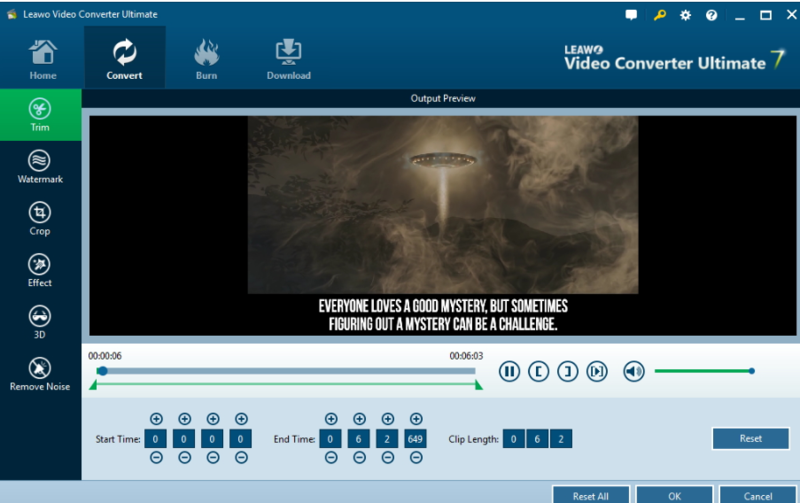 Speaking of Video_TS to ISO converters, Leawo Video Converter as well as its upgrade version Leawo Video Converter Ultimate are the best choices for you to convert Video_TS to ISO within several simple clicks. By the way, there are many other options for you to try as well. 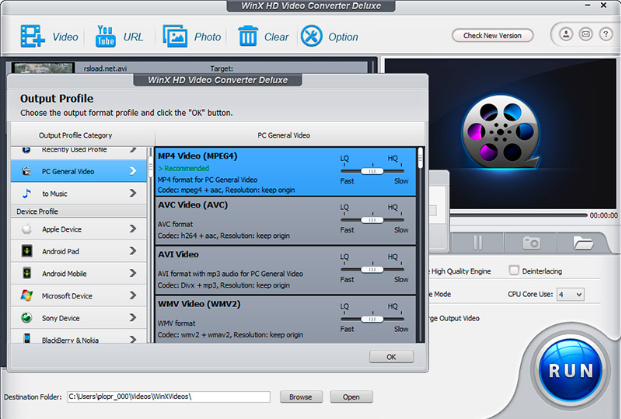 Below lists three common video converters to help you create ISO from Video_TS folder. It is free and safe to download from the internet. Functioning as a profession and fast video converter, it is capable of supporting many file formats such as MKV, HEVC, M2TS, AVCHD, MOD, HD camcorder videos, Blu-ray videos, and standard MP4, AVI, MPEG, WMV, MOV, VOB, FLV, RMVB, WebM, Google TV etc. Give it a shot if you want to convert Video_TS to ISO. This is a free backup solution for DVD movies. It can open DVD files contained in a VIDEO_TS folder or a disk image. Simply click on the “Backup” button at the top of DVD Shrink and then you can create ISO from Video_TS folder. 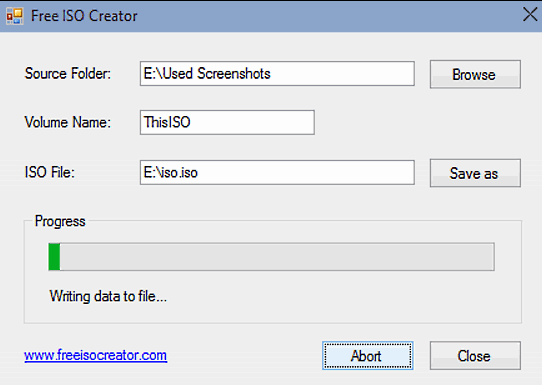 Free ISO Creator is a free ISO image file creation tool, which can help you to directly create an ISO CD-image file from the DVD/CD-ROM or any folders on your PC. No complicated settings and options, this software is very easy to use. This freeware is only available on Windows. Video_TS to ISO Mac is not feasible here. Freeware like DVD Shrink and Free ISO Creator are easy to use but users may meet certain problems easily as well, for example, Free ISO Creator does not have Mac version. Therefore, considering reliability, speed, performance, and usage, Leawo Video Converter Ultimate is the best of all. Moreover, the user interface on Leawo program is very simple and it is handy for both beginner and pros. It is worth your trust to convert Video_TS to ISO as well as other video conversion cases.